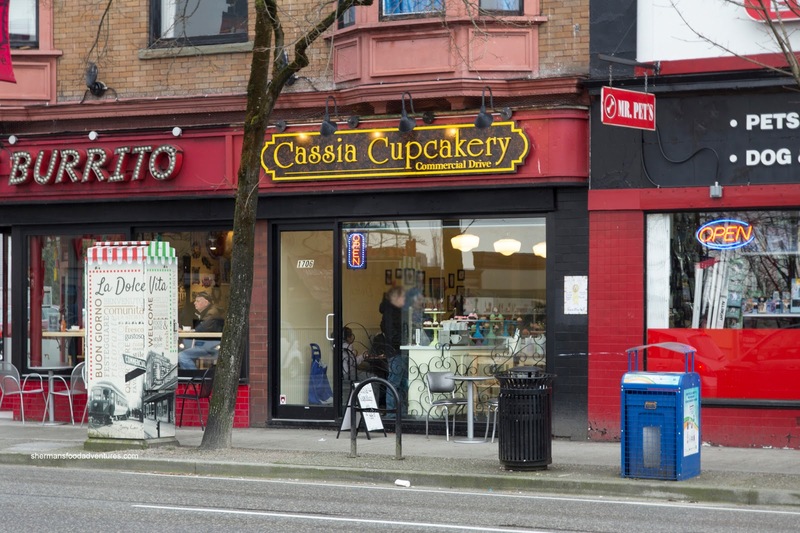 Similarly displayed like Cupcakes and with familiar flavours, I was hoping that Cassia would woo me over to the cupcake world. 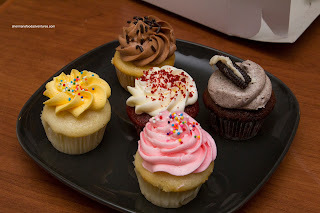 I picked up some minis including (from top and clockwise) 2 Red Velvet, Lemon, Vanilla with Chocolate Frosting, Cookies and Cream and Pink Vanilla. Okay, let me cut to the chase. For the price I paid, I expected, at the very least, good cupcakes. Sadly, these were far from moist and the flavours were quite weak. I didn't enjoy the frosting as it was heavy and sweet. On the positive side, they did look pretty. I also got 2 full-sized cupcakes to make everything fair. 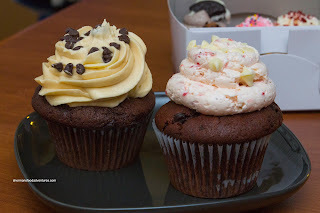 Both were chocolate with the one on the left being Peanut Butter and the one on the right being Strawberry White Chocolate (I think... not sure because I couldn't even eat a bit of the frosting). Being bigger cupcakes, they were not as dry, but they were hardly moist. The frostings were just too cumbersome to eat. And to think that I thought Cupcakes were hard to swallow. I take that back. 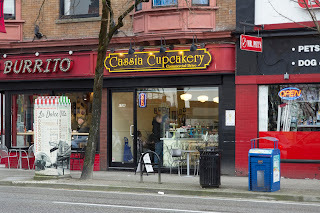 Alas, not only did this visit to Cassia Cupcakery not woo me over, it turned me off. The frostings were just too cumbersome to eat. 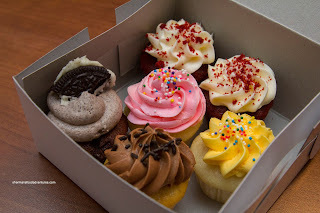 I don't fall for fancy cupcakes. I dislike the mound of overly-sweet frosting, followed by a generally too-dry cake underneath. After awhile, they all start tasting similar to each other. I find this genre gimicky and geared towards a higher profit margin. At least fancy mini donuts don't differ fundamentally from their regular-sized brethren. @KimHo I'm biased. I don't like frosting in general. @LR Yah, not a big fan either. 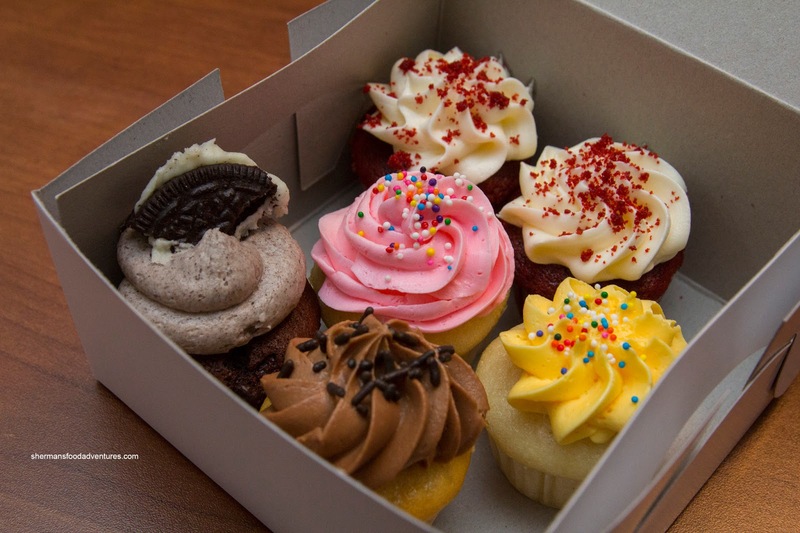 Don't let this place put you off cupcakes! I went here full of excitement and was so disappointed with their cupcakes, we had to throw the peanut butter one away - the frosting was just weird! but if you still want to give sweet treats in the city a go then my absolute favourite bakery over on Mackenzie St is Butter Baked Goods - everything from there is amazing including the cupcakes! and lucky's doughnuts still do the best doughnuts in town in my opinion!